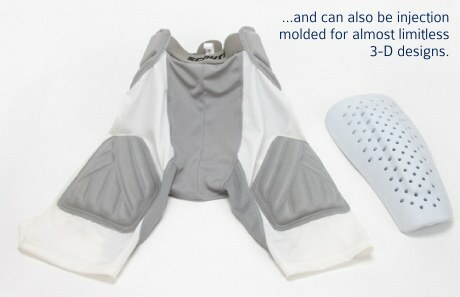 CELL-FLEX creates innovative foam products. DER-TEX corporation has expanded its range of services and products to include the Cell-Flex foam product line. The most popular product is the Cell-Flex IMPAX® shock absorbing product line available in both sheet stock and injection moldable three dimensional compounds. 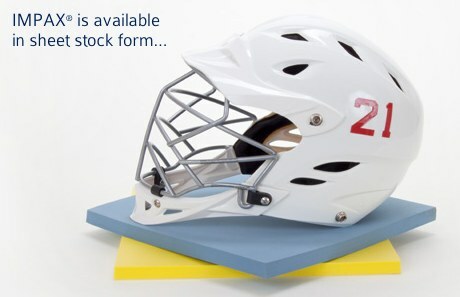 Our goal is to provide innovative high quality foam products at competitive pricing. EXT. 307 to talk to our product development team, who are available to consult with you on any application of our product line that suits your needs. 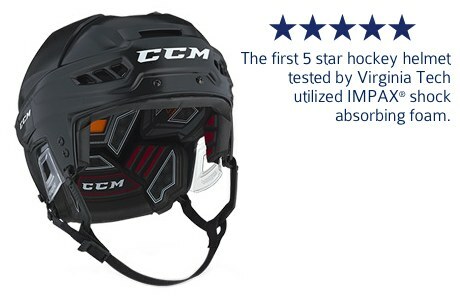 Click to read the Virginia Tech article about the five star hockey helmet.